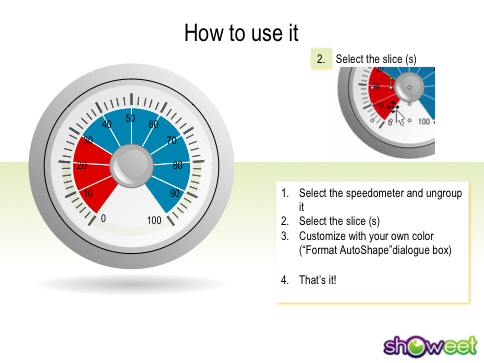 Easy-to-customize editable speedometers for PowerPoint. 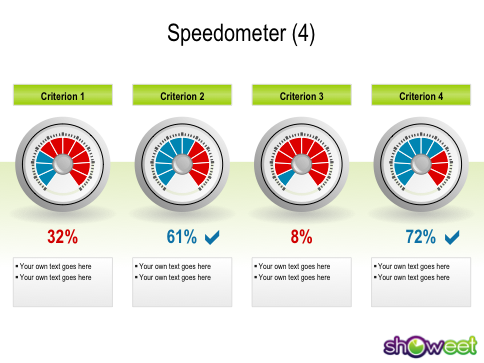 Great for illustrating results differently. 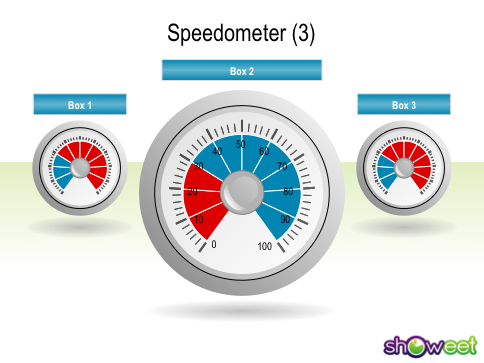 Could you please send me the ppt slides for speedometer? 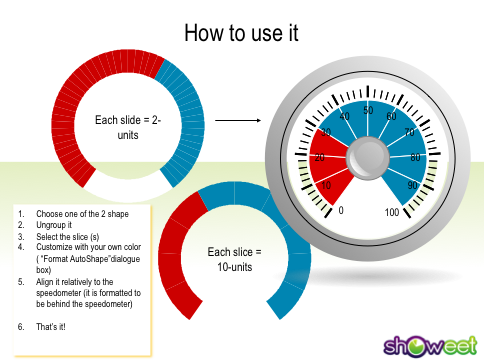 I was unable to see any way to download the slides. Hi. 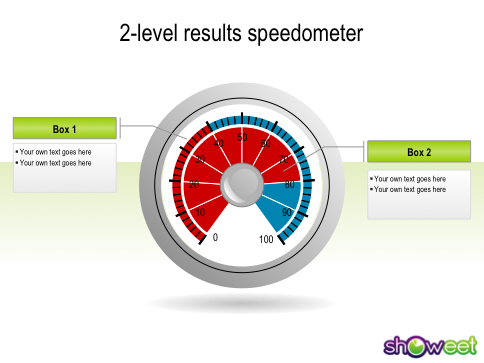 Could you please send me the powerpoint slides for speedometer. Thanks. I was unable to see any way to download the slides. Thanks again.